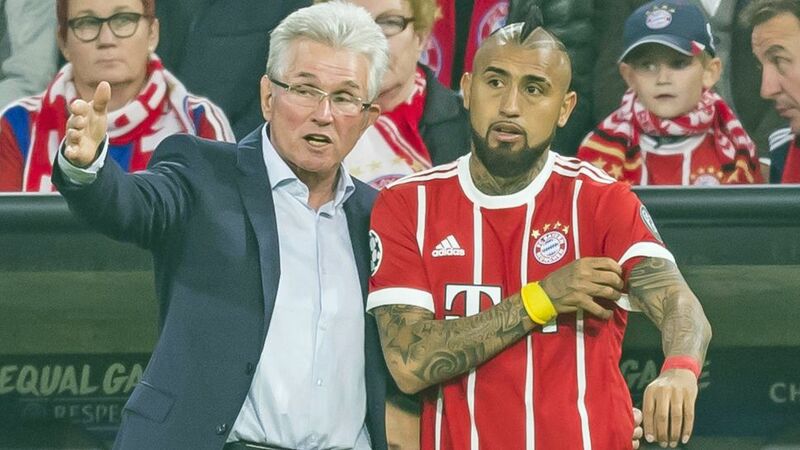 Speaking to the assembled press in Doha on Saturday, Bayern Munich head coach Jupp Heynckes quashed rumours linking midfielder Arturo Vidal with a January transfer to English Premier League club Chelsea. "There is no contact between Chelsea and Bayern Munich," the 72-year-old affirmed. "We will not sell Arturo Vidal or any other player, for that matter, during the winter break." Heynckes' hands-off warning comes as little surprise, but still represents a blow to Chelsea counterpart Antonio Conte, who recently referred to his former Juventus charge Vidal as "one of the best in the world." Few would disagree. Vidal has featured in all but one of Bayern's 16 games since Heynckes returned to the hot seat in early October, scoring in four successive matches between Bundesliga Matchdays 12-15. The Chile international, 30, who also played under Heynckes at Bayer Leverkusen prior to joining Juventus in 2011, has 18 months remaining on his current deal with the record German champions.